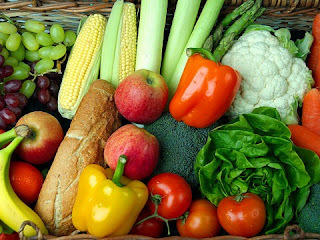 In order for an individual to get by with less pharmacological medications and fewer trips to the doctor, they should start with a lifestyle of organic foods and a diet which is geared specifically for them. Consequently, diet, digestion, and detoxification take on major importance as it’s not an issue of what one eats but whether they can digest it or not. This is especially true in the industrial societies where the emphasis seems to be on refined packaged foods. The use of additives, food colorings and the explosion of GMO’s in the marketplace have all made food selection and preparation that much more tricky. This is important since whatever the digestive system can’t handle the body’s immune system has to pick up the slack. Such symptoms as redness, swelling and inflammation are often the result of an overworked immune system. Although predominately found in carbohydrates gluten is actually composed of two proteins called gliadin and glutenin. These are two of approximately 30 different proteins which affect the elasticity and chewiness of the dough. Unfortunately if you are allergic to gluten it is found in almost everything; from wheat , spilt, rye, and barley. Over time, the lack of Proper Eating & Gluten Intolerance will often cause an autoimmune reaction called celiac disease. this often results in inflammation and an increase in intestinal permeability often referred to as ‘ Leaky Gut ‘ . The lack of Proper Eating & Gluten Intolerance can also lead to diarrhea / constipation and common occurrences of gas and bloating. In more severe cases skin symptoms similar to eczema and psoriasis can result as the body’s lymph and kidneys become overloaded. In the scoop of Alternative Medicine and the Holistic Medicine Rochester NY community, digestive enzymes such as amylase are often given to help with the digestive process. While not a cure for gluten intolerance digestive enzymes can help with gluten symptoms such as brain fog and fatigue. This is often a result of carbohydrates not making it into the brain and low potassium levels. At Chiropractic Health and Acupuncture, we have been educating and treating outpatients on Proper Eating & Gluten Intolerance since we opened our doors in 1983. Located in Penfield the office serves Fairport, Webster Brighton, and the greater Rochester NY area. Most major insurances are accepted and the practice offers a free consultation. We are proud to be part of the community for Holistic Medicine Rochester NY.